Alas, I have no Flannel Friday post today. Just haven’t made any new flannels lately, and we’ve been busy ’round these parts with lots of (good) changes. I have several storytime plans I need to write up for y’all, and will get to those ASAP. However, in the meantime, I give you…. 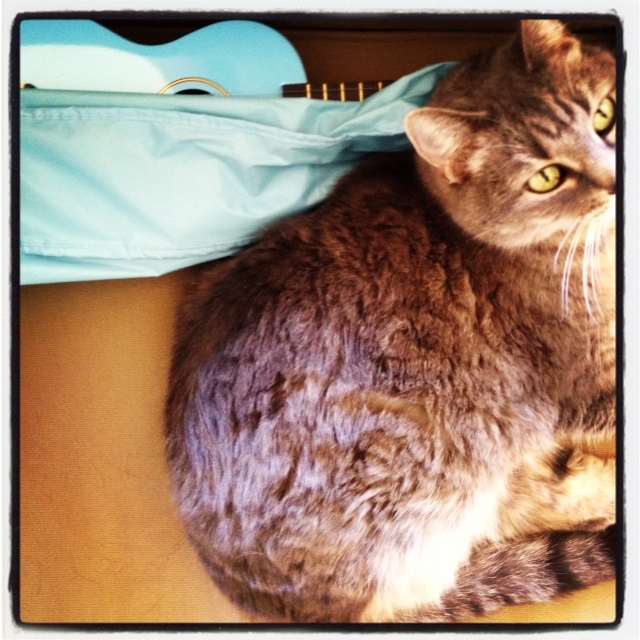 Where did you get your blue uke? Any tips for using in a story time if you are a novice player?